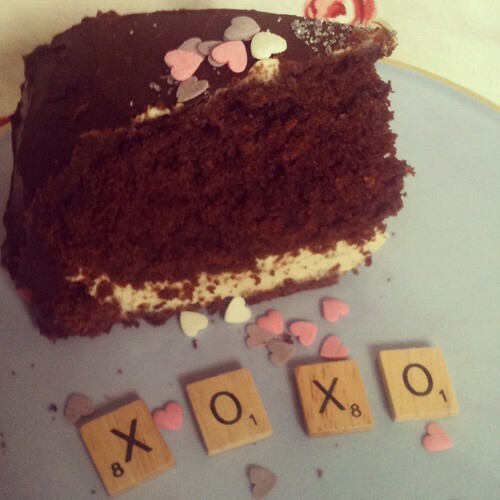 She Dressed in Black: Twee Treats // Love & Lavender Cake. Those who have been around from the early days of SDiB may have heard about our trade up from Rose Tea to Lavender Tea due to our local supermarket ceasing to stock our rosey fave, however, we're not settling anymore and the heart warming lavender and bergamot infusion is well and truly imbedded within our evening ritual, now we're immortalising it in cake form. 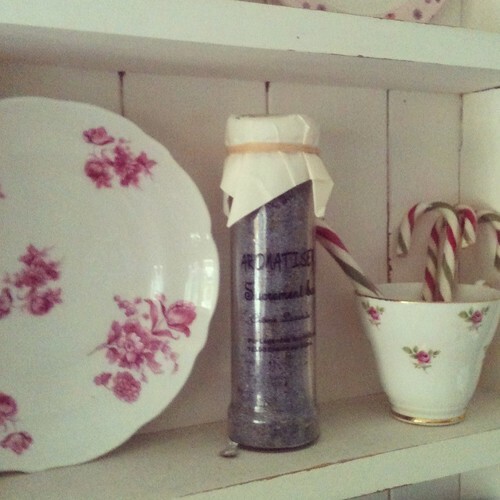 We're also pretty excited to finally be making use of our lovely lavender sugar that Rhi bought in France last summer. Ready to start? After preheating the oven to 180 degrees, pop the teabags for the cake in the boiling water and infuse for 5minutes, squeeze out water and leave the tea to cool. Grease and line a 20cm cake tin. Mix your dry ingredients (sugar, flour, baking powder/soda) mix the tea, melted butter, chocolate, eggs and yoghurt seperately and then beat all the ingredients together until smooth. Moving onto the cream - stew the tea and water for 5 minutes again, this time in a pan. 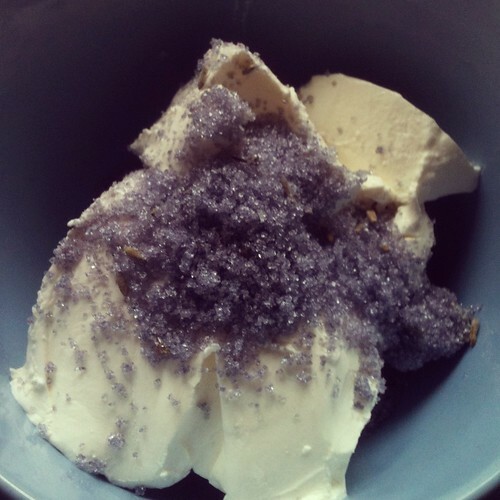 Take out the tea bags and add the sugars (we added some lavender sugar directly to the cream cheese too! ), bring the tea to boil until you have a lovely lavender syrup. Leave to cool then beat in the cream cheese. 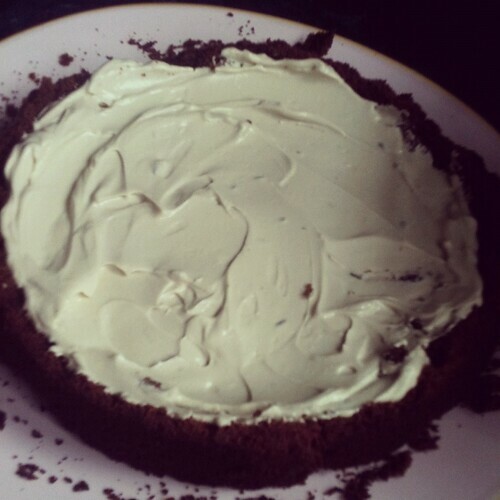 Once the cake is completely cooled, cut in two and spread on the cream filling. 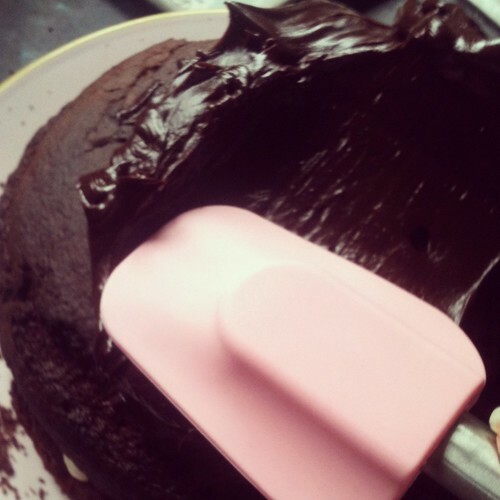 Then melt the chocolate for the icing, add the cream and honey and smooth straight over the cake, use a spatula to ensure even coverage. Finish off with a sprinkle of lavender flavoured sugar and decorate if you like, and you're done. 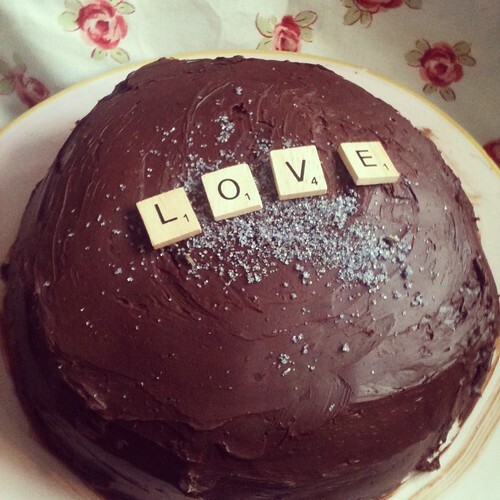 Something very theraputic about an afternoon spent baking, such a lovely way to waste a day. Cannot express how amazing that cream filling is as well, to die for, going to make a plainer cake soon and use it as icing and really let that lovely flavour shine. 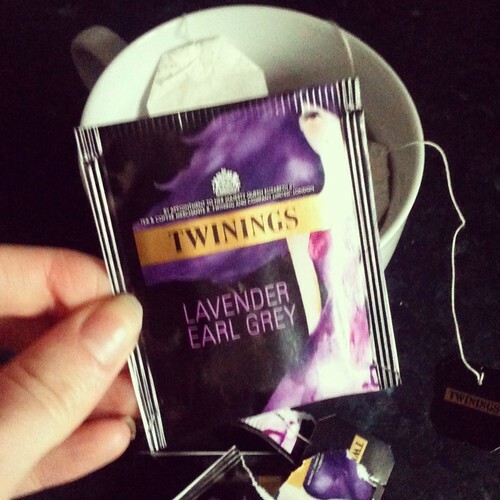 I love lavender but the idea of eating or drinking something lavender flavoured freaks me out a little. You may have just convinced me to give it a go! That looks amazing!!! I've had a lavender cake before, but not with chocolate. I'd definitely make this for a special treat, well done girls!